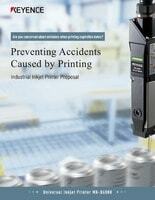 Add value to your processes by following this guide designed to help alleviate concerns while reading codes. 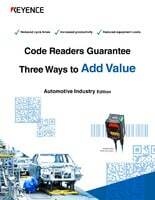 Add value to your processes by following this guide designed to help alleviate concerns while reading codes. Several common code reading issues are highlighted as well as how to resolve them. 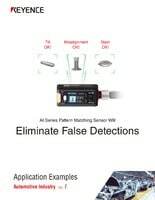 Completely non-contact flow sensor that can detect grease, adhesives, paints, chemicals, coolants, and much more. 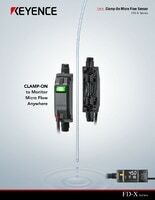 Just Clamp-On to any pipe or soft tube and start monitoring. Our AI series can solve all of these and more! KEYENCE inkjet printers can easily be connected to vision systems to ensure that missing characters are caught. 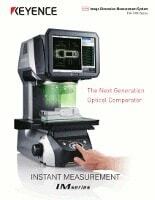 Instantly check all part features at the push of a button with this optical based measurement system. Providing high accuracy and zero subjectivity through cutting edge, telecentric lens technology. 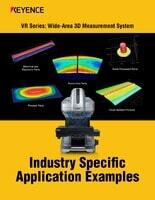 Learn how vision systems address these challenges. 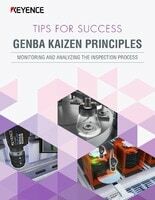 This guide introduces examples of the Wide-Area 3D Measurement System being used to gain an in-depth understanding of the surface of a part that may affect its performance. 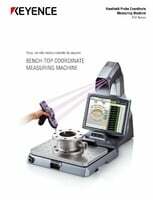 Looking for a CMM for inspection requests from end users, or to obtain new work? The XM is the easiest-to-use, shop floor CMM on the market.